One level living on a beautiful corner lot in the cozy community of Mill Pond Acres less than 5 miles from the beach. The community is located on one of Delawares largest freshwater ponds w/excellent fishing and kayaking. Jet skis and power boats are also allowed on the pond. 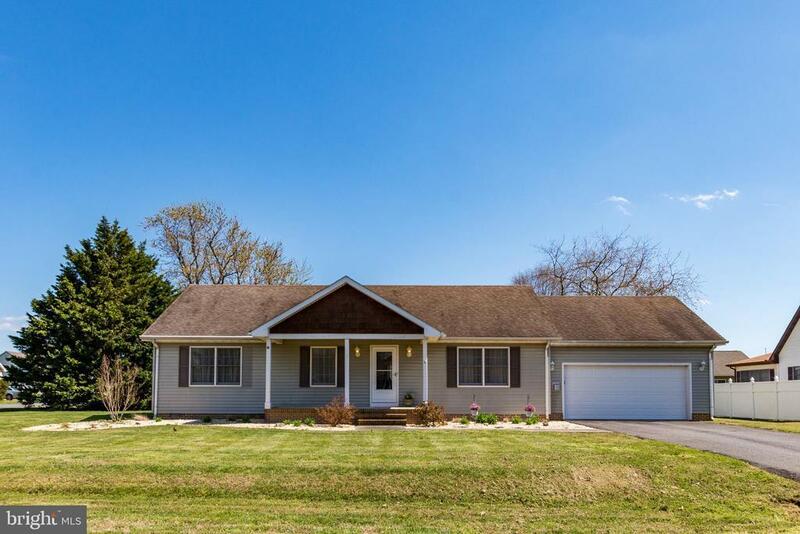 This 3 bedroom, 2 bath charming ranch home has an open kitchen/dining perfect for entertaining. The gorgeous sunroom leads to a low maintenance deck in the secluded backyard great for family barbecues. No HOA fees. Come see this beauty today and start enjoying your new home before summer starts!